Which ancient text supports the connection between Lord Shiva and Cannabis? They demand. It is an interesting problem, quite like those theorems of mathematics. If x = y, and y = z, then it x must be equal to z. 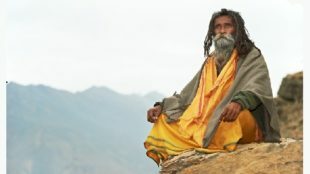 Simply speaking, if Rigveda (the oldest religious text of Hindus) provides for Lord Shiva (in his Rudra avatar) to be worshipped along with soma, and if soma proves to be cannabis – would it not prove that Lord Shiva’s devotees are right in using bhang as an offering to their favorite deity? Let us see if we can prove this. Long ago (more precisely about 3500 years ago,) in the northwestern plains of the Indian sub-continent, several hymns were collected, categorized, and presented, as a collection that is known is the Rigveda. The Rigveda is possibly one of the oldest texts in the world. The hymns included within are those that were sung as praises popular in those times; these hymns are organized as sub-sections called mandalas – and one of these mandalas – the 9th one, which contains 114 hymns, is dedicated to “soma” or the drink of the gods. According to the scholars of Rigveda, soma-rasa (the juice of soma) was made from crushing flowers or the stalk of the soma plant, which grew in the mountains. In more recent times, European and Indian scholars have established that soma was perhaps the haoma plant that grew in Persia – which, it is established, was cannabis. The haoma plant was entheogenic, and was said to empower the religious and the righteous. If you are a keen observer you can see “ma”, the Chinese name for the cannabis plant hidden hao-ma. According to Chris Bennet (“Cannabis and the Soma Solution”,) a 2700-year-old mummy of a shaman in China was discovered along with some equally old cannabis. This, says Bennet, indicates that hu-ma (Chinese term for Cannabis) became Haoma when it reached Bactria and Persia, and then same plant arrived in India, got an “s” attached to its name, and became soma. So it can safely be said then that the soma mentioned in the 3500-year old text of the Hindu religion was indeed cannabis – and the drink made from the plant, which was called somarasa in those ancient texts, was the same as today’s bhang. But we have still not established a relationship between Lord Shiva and Soma or Cannabis. Actually, the Rigveda connects soma to many Hindu gods including Rudra, who in the later texts was called Shiva, has also been mentioned as one of the deities in soma-mandal of the Rig-veda. At the time when Rigveda was being written Rudra was a minor deity (Indra and agni were in the limelight,) and he later evolved into Lord Shiva. (Source: Rig Veda – Translation by Ralph T. H. Griffith. Through the above hymn, Soma (bhang or cannabis or marijuana) and Rudra (The mightiest among the mighty – Lord Shiva’s Rudra-avatar) are called upon “together” to chase sickness away and to provide our bodies with all needful medicines to heal and cure us. This proves that they were together. 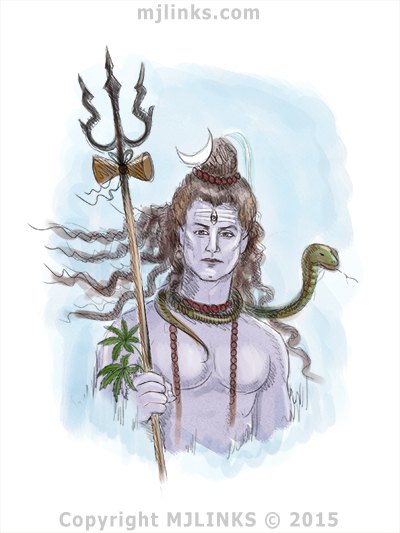 Cannabis and Shiva…since the beginning of times – or at least since Rigveda was written 3500 years ago.